We have a running joke in our house when it comes to birthdays. Instead of just one day for your birthday, instead, you get a whole week, which by the end of the month has actually become a whole birthday month. During birthday month the person with the birthday usually to tries their best to get the other people in our family to buy them gifts or to do things with them that we normally wouldn’t ask for or do. Even though I truly don’t expect my husband to have to take me out to eat all week, A girls still gotta try, right? And try try try I have because guess what October is for me? This is how Birthday month went down for me this year…. First, my husband gave me a new fitness tracker that I have been really, really REALLY wanting, AND I managed to talk him into letting me have it about 3 weeks early. And then fast forward to Birthday week in which I managed to talk him into taking me to Ihop for free pancakes, we tried out a new Mexican restaurant that some friends suggested, We went to 54th Street Bar & Grill & Dairy Queen on my actual birthday, and then two days after my birthday, we went to another Mexican restaurant which just moved in at the end of our street. We also went on a ton of walks, Sunday drives, and shopping. As I write this I realize how spoiled I am because even if it weren’t my birthday month he would still do all that stuff with me. Thankfully we don’t do all of that eating on a regular basis or we’d both weight 5000 pounds! Last night I was writing letters to the kids I sponsor through Compassion. As I was answering the questions one of them had asked I realized that one of the questions was – When is my birthday month?. The cool thing about that question is that the child who asked it just so happens to have her birthday in October too and it was really kind of cool to tell her that we share the same Birthday month. As I was writing her letter I began wondering how she had spent her birthday. I started to write the question asking her if she had done anything special for her birthday but then I stopped. I stopped because I wasn’t sure if that were an appropriate question to ask because she lives in extreme poverty. The more I thought about the question the more I realized that she most likely doesn’t eat dinner out or get extravagant gifts for her birthday like I do. As a sponsor, I am always offered the opportunity to send a donation towards a birthday gift for her and several times when I have done this I’ve received pictures back of what she bought with the money. What I’ve noticed is this – Every time she used her birthday money to buy practical gifts such as clothing or cooking supplies such as flour or sugar. While those are good gifts, and she seems to be very excited to get those things I know they would not be my first choice of how to spend my own birthday money. I realized now that her birthday and my birthday are probably very different. I ended up never asking the question about her special day, but I did tell her how special she is and that God made her special by creating her on her birthday day. I also wished her a Happy Birthday. I think birthdays should be special for everyone, but especially for children. I know my birthday was a little very extravagant, but the truth is even if I’d never gone out to eat dinner or received a gift it would have still been a great birthday. It’s not about the eating or the gifts, it’s just knowing that people love me so much that they took the time from their own days to wish me a happy birthday, or to just hang out with me. Those are the things that really make birthdays special for me. How about you? What makes your birthday special for you? How do you like to make birthdays special for the people you love? Today is the last day of my birthday month and in honor of birthdays of everyone everywhere, I’d like to try to squeeze in just one more gift. But this time the gift is not for me. This gift will be a special birthday opportunity for a child who may not normally have a special birthday. 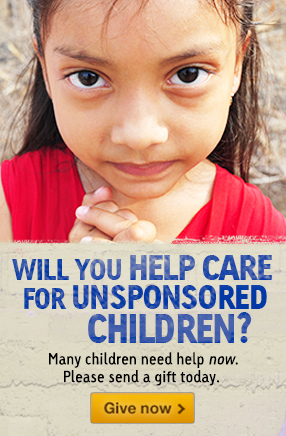 If you follow the link below you will go to Compassion International’s child sponsorship page. On that page you can use the birthday search filter to choose a child that has a birthday coming up, or if you’d like you can even choose a child who shares the same birthday as you. when you sponsor a child he or she will receive the news just in time for their birthday that they have been sponsored by YOU! Wouldn’t that be an amazing birthday gift for that child to receive?! If you’d like give the gift of sponsorship to a child for their birthday just click this picture and it will take you to Compassion Internationa’s website. If you are unsure or just want more information this link will take you to that too. The first time I heard of Darren Terpstra was the day I saw him in a YouTube video. In the video he was introducing a little girl from Brazil named ‘Ayla.’ He had just sponsored Ayla through Compassion International with money he had saved by living on $7 a day. He also shared in the video that he had made a commitment to live on $7 a day for a year and that at the end of each month he was giving the money he had saved to charity. Sponsoring Ayla was what he was able to do with the money he had saved during his first month. How exciting was that?! I was really impressed to think that in only one month of saving he was not only able to sponsor Ayla, but also he had saved enough to sponsor her for 7 years! After watching Darren’s video I just had to know a little more about the guy behind the video and I had the privilege of doing just that a couple of weeks ago when he so kindly agreed to meet with me. When we first started talking Darren seemed like he was your average 25-year-old guy, but within just a couple of minutes I realized there is so much more to this guy than just your average 25-year-old guy. I did already know from watching his videos that he had a very strong passion in his heart for helping those in need, but having a conversation with him gave me a much bigger look into just how truly deep that passion really is. Today I am really excited to share our conversation with you, so that you too can know a little more about Darren Terpstra. Darren Terpstra is 25 years old. He grew up in Janesville, Wisconsin and went to school in Jackson, Mississippi. He now lives in Colorado Springs where he works as a marketing manager for the publishing company David C. Cook. He is also the founder of KiwiConnect which is still in the making. What started you on this journey? – Build up a business, make it profitable and then use that money to help others through mission and humanitarian causes. – To show non-Christians that Christianity is about sharing love and not condemning and to be an example to non-Christians should God give him the platform. Another thing that started Darren on this journey is when he was in high school he had a friend who was sexually abused at home. He was with her day in and day out and seeing what she was going through was really heart breaking. One day they had a class assignment in which they were asked to bring forth an idea that could help change the world. His friend stood up in front of the class and said that for just $40 you could buy a person out of sexual slavery. He told me that statistic is from when he was in high school so he is pretty sure that has changed by now, but whether that amount were $100 or $200, would it really make that much of a difference? Right after the Haiti earthquake there was this guy who was rallying their college to help who said that for $5* you could feed a family in Haiti for a month. *Just a little side note – Darren has a new video out ‘Day 101‘ according to Samaritan’s purse $35 will feed a family in Africa for a month! How did you come up with the $7 a day idea? Initially he had the idea of just not buying anything for a year and then to document his journey. After thinking about it he decided that way might be really difficult to put rules around. So he talked with some friends and came up with the idea of the $7 a day year. He came up with the amount by figuring out how much he spends per day minus the things he needs such as rent, utilities and insurance. From there he came up with the figure of $7 a day. Anything he makes above the $7 he gives to charity. He plans to spread each month’s savings across several different charities. As you saw in the video at the beginning of this post, during his first month he saved $3164 which he used to sponsor Ayla through Compassion International for 7 YEARS! WOW! What does your family think about your 7 dollar Year adventure? “No one at this point. In the days of Netflix, Starbucks and the American culture the way it is, it’s hard to find someone who has the same values as you.” He told me his church group goes out to eat on Sundays and sometimes he goes and doesn’t eat. He in no way means to make it sound like he is against something, it’s just when he figures if 20 people go out to a restaurant spending $10 to $20 each that’s roughly $200 each week that we could be doing something else with. He went on to say he is not saying something is wrong, there is freedom in Christ, but at the same time he is just hoping this challenge shows people some sort of conviction about things like that. I noticed in your videos you like to exercise, it looks to me as if you really enjoy it, do you? Darren says there are 2 types of exercise, the first type is the type he likes… things such as ultimate Frisbee, flag football, most anything active that he can do with his friends. He also does a lot of things with the youth which keeps him young. He doesn’t like workouts such upper body where you just burn it out at the gym. I see that you signed up for Ninja Warriors, have you found out if you made it? No he hasn’t heard anything yet but he doesn’t really think he would win because he doesn’t have the finger strength he needs to win. He says you get finger strength by rock climbing and he doesn’t rock climb because that would bust his budget at a cost of about $12 a session. What about your roommates do you all share food? When you saved $3164 your first month and were able to sponsor Ayla for 7 years did you already have that added up or did that surprise you? “That really surprised me.” “I had not done the math and so I thought maybe 3 years or maybe 4 years. When the numbers came out and said it went for 7 years I went wait! No! And I typed it in again and I typed it in again and I thought wow that was a lot more than I thought it would be!” Darren told me that statistic has been pretty powerful to people in the fact that just one month can take a child out of poverty. I would like to add that Darren also has two other children that he sponsors through Compassion, their names are ‘Rehan’ and ‘Indri’ and they live in Indonesia. Is there anything you miss a whole lot? “I lived very frugally before this so it’s not like I was blinded by the light and suddenly went from eating out every day to this. The biggest thing that I miss is not having to take notes on every single dollar that I use. It used to be very easy to say, ‘oh I have a trip in the summer to California’ and know that it was paid for. Now I have to make sure I save a little off of the $7 a day to pay for it.” For instance, he really wants to go on his yearly surfing trip to a friend’s house in San Diego this summer which will cost $250. Board games have become a popular alternative he now that plays with friends instead of movie nights. What has surprised you the most in all of this? He did say that he knows that all of the gifts were left out of a good heart, it just wasn’t necessarily the sort of response he was expecting. What he had been expecting was a response like “hey what’s a good charity to get into?” Which he said there actually has been a lot of that too, which has been really good. He also said the gifts could maybe mean that people really care about him and maybe he should just stop over thinking it. What he really wants to do with all of this is to point people towards people who CAN use the money. Do you think this is something you could continue to do after the year is over? Yes he thinks he could. Creating the videos and meticulously writing down everything he spends is a small headache, but it’s really not that bad. What gave you the idea to do the Dubsmash at the end of each video? He says he looks at it as his reward to people for getting through the video. He thinks the videos can sometimes seem super heavy and though he wants people to be convicted and see the change that they can do, he also doesn’t feel like someone will continue to watch the video series if they feel they are continuously smacked in the face with they aren’t doing enough. He thought it would be a fun and funny way to end things off and also so people could get a better understanding of his personality. My last question to Darren may seem a little odd but I couldn’t help myself…..What’s wrong with Ramen Noodles???? Well that’s it for my questions! I really enjoyed my interview with Darren Terpstra and sure hope you did too. We talked and laughed and I think I may have blabbered just a tiny bit too much myself because I noticed the other day that I have now made my way into one of his videos (Gangs of El Salvador). Thankfully he called me a ‘super nice lady’ which was really sweet and made me day. I think Darren is super nice too. Anyway…. that is all I have for today. If you would like to follow Darren on his journey you can visit his Facebook page – Darren Terpstra or his YouTube page – 7DollarYear . Darren if you are reading this, thanks for your time spent sharing your journey with me! Thanks for reading and also be sure to check out the links below. In 2009 Compassion started a tradition that focused on one word for the year. Two weeks ago I received a blog writing prompt that encouraged me to spend time with the Lord and ask for his guidance as to what word he would choose for me in the coming new year. Though I have never really chosen a word in advance usually by the end of each year I find that there was a particular theme that my year seemed to have taken on as the year progressed. As 2015 started I began the year with a whole lot of new things on my plate. Now as I look back I can see I had many more things coming my way that I really had no idea were going to be coming. All of those things made way for a whole lot of times I found myself having to Trust the Lord in his guidance and his strength. There were also many times this past year that He showed me that big things can happen if I just let go of myself and put ALL of my trust in him. With that said now I will say this has probably been the hardest year in my Christian journey. I started the year off full of excitement and ready to dive right in to whatever God had in store. But as the year progressed things seemed to get more and more confusing and I will admit it there were times I felt like he was far away, and also sometimes oddly silent. At one point even though I knew God had led me in to the place I was, things didn’t seem to be going quite as well as I thought they would have been going. I also had conflict going on around me and many times found myself feeling as if I was caught in the middle and for some reason I began to feel as if somehow I was to blame for it. I know now it wasn’t my problem or my fault and also know I did not put myself in the middle of it at all. I can’t really go into detail here but will say that by the end of April my confidence in trusting to what and to where God was leading me was beginning to fall apart. Yet at the same time, he still kept showing time and time again that I was where he wanted me to be. 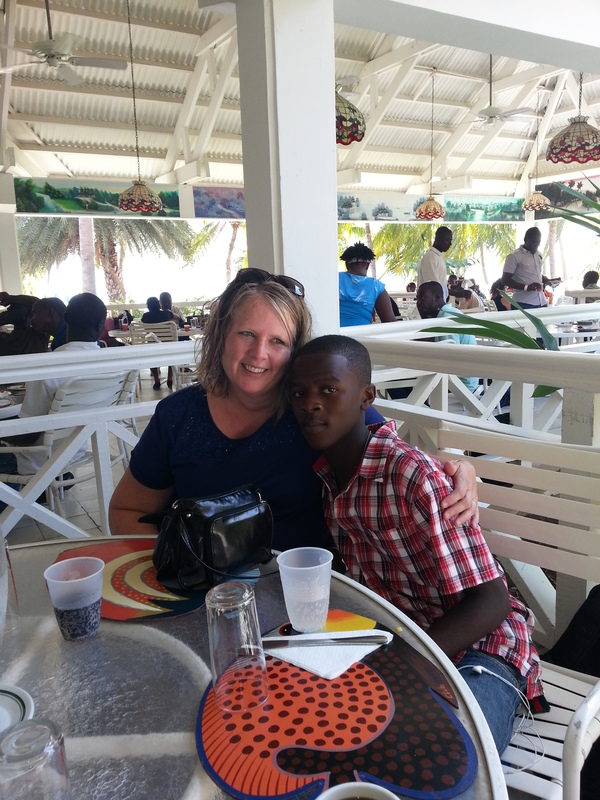 In April I went on a mission trip to Haiti. While I was there it was really good yet at the same time I had probably one of my worst times ever of feeling like I had somehow messed up and had heard God’s plan in this for me all wrong. Strangely even though I felt that way, at the very same time things happened while I was there that soon proved to me I was actually right where God wanted me to be….Ya I know it sounds totally confusing and weird. It’s a very long story I could never put into words, so I will just say as I now reflect back I can see God’s hand prints all over the place on that trip but at the same time it’s like the enemy somehow was able to distort my vision part of the time that I was there and make me feel really confused. Another thing that happened while on that trip is I was notified that a really close friend of mine had died and I kept a lot of my emotions about her death bottled up until I returned back home. I also think maybe the sadness I felt about her dying may have put a bit of a dark cloud over the trip too. I remember coming home knowing that I was supposed to have been on that trip yet also at the same time feeling even more discouraged. But here is the cool part…. After I signed up for the trip my confidence still continued to plummet. Yet God still kept throwing things out there that said I was in the right place but by then I was even more confused and feeling as if I was losing my ability to trust in what I heard from Him was really Him. I also felt ashamed of my feelings and I didn’t want to tell anyone what was going on so I spiraled through most of it feeling very alone. Then to top off all those bad feelings in July I started having some serious knee issues and I realized I most likely would not be able to go on the El Salvador trip. I sent an email to the trip leader explaining to her the situation and I told her that I would not be able to go on the trip. I knew from past experience of going on a trip like this that I may have to walk in places that I couldn’t walk such as rough terrain or long periods of walking which I knew I could not do. I figured most likely they wouldn’t let me go with my knees like they were anyway. Once again I found myself doubting and I began to tell myself that maybe I had made the decision to go in the first place because I had most likely heard God’s voice wrong. Why would God tell me to sign up for something He knew I wasn’t going to be able to do? After I sent the email I soon received a reply and a phone call from the trip leader. During the phone call we talked about a lot of things, including the fact that I could possibly have another trip coming up with my church to Haiti, (I forgot to mention that earlier) that I worried if happened the dates may conflict. As we spoke I began to feel as if she was someone I had known forever even though it was my first time ever talking to her by phone. She told me that the trip would not be very physical and that I could still go with the knee problem if I wanted to. She also prayed with me for discernment I would be able to know what God wanted me to do. We ended the conversation with me having a few more days to pray about my decision which I did and soon I knew without a doubt that God still wanted me to go to El Salvador! I felt such relief once I made that decision and then suddenly at the end of July I found out that I would have the trip to Haiti but it was not going to be anywhere near the El Salvador trip dates. It was so exciting to know God had worked out the dates!! But suddenly I had another problem… There was no way I could afford to pay for a trip to El Salvador and also a trip to Haiti. I felt a loyalty to my church, because I was the new Mission’s director plus I had been a part of setting this trip up. Suddenly I felt like I was torn between the two trips and found myself trying to choose once again. I knew if I was going to have to choose I had to choose my church because I felt a loyalty to our mission there. But God still said to do both! Once again I began struggled with God because I knew I did not have the money to pay for both of these trips! I made a decision on my own even though deep down I knew God wanted me in both places. I decided I was going to drop the El Salvador trip and I even went so far as to tell a couple of people I would not be going to El Salvador anymore. As soon as I made that decision suddenly I could not rest. I knew God wanted me to trust him. I also knew I still had to go on that trip. I changed my mind and I said, “OKAY, I will go!” but this time I did it differently and I finally gave up my own feelings on the matter. This time placed it back into God’s hands where it belonged; And guess what happened the very next day???? 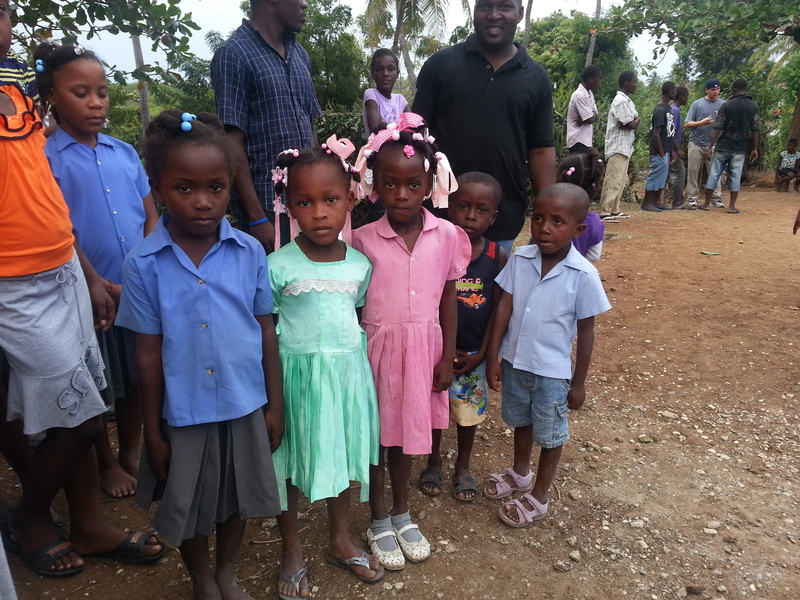 I found out I would not have to pay for my trip to Haiti! Wow! All I had to do was say yes and what I thought was going to be a problem was never a problem at all. God had everything under control! I know this story is getting really long so if you are still here thank you for hanging in there. I will now try my best to finish this as quickly as possible. We will fast forward to September…. Since July things had been going really great but then two days before I was supposed to leave for El Salvador something horrible happened. I cannot say much about what happened here because I always try really hard not to put things on the blog that may tell something personal and could possible hurt others. What I will say is that what happened totally threw me for a loop and almost threw me back into my mode of not trusting my ability to truly know what God wanted me to do. I spent the whole next day and night in tears, doubting who I was now and for that matter also doubting who I had ever known myself to be. Its may sound crazy but sometimes old wounds can be opened and when they open you may find new ones you never even knew you had. In a matter of a couple of hours of time I went from feeling closer than I had ever been with God to suddenly feeling like a horrible person. At that point I wasn’t sure how on earth I would ever be able to get myself on that plane to El Salvador. The day before the trip, I talked to God asking him if what had happened to make me feel that way was true?? I had searched my soul and honestly felt like what I had felt the day and night before was because of lies created by the enemy. But I still wanted and needed God’s input very much. “Please just give me something to let me know I was truly where you wanted me to be!” I prayed. As I prayed I opened my Bible and this is what I saw hi-lighted inside – Blessed is she who has believed that the Lord would fulfill his promises to her!” Luke 1:45 That caught my attention and as I recognized the rest of the story suddenly peace just wafted over me. The next morning as my husband dropped me off at the airport I was still at peace and never one time did I ever find myself thinking that by going on this trip I was making a wrong decision. A little while later shortly after the plane lifted off the ground I noticed the sun was rising. I remember trying my best to hold back the tears of joy because at that moment I knew like I’d never known anything before that I was exactly where God wanted me to be. I was so thankful that despite all the detours I had taken to get to this place he had never given up on me. I was so thankful that through all the mess I had said yes. That trip ended up being one of the best times I have ever connected with God and while there he showed me I truly was exactly where he wanted me to be . Another thing about that trip was it was not just a vision trip it was also a spiritual retreat. I had never been on a spiritual retreat before and had no idea what a treat I was in for. Each evening we would all meet for a couple of hours and focus on knowing and just being with God. In the mornings we were encouraged to spend time with Him. we were encouraged to go where ever he took us by walking the grounds or sitting on our porches or whatever felt right. To just BE and connect with God was what we all seemed to do. Never in my life have I experienced something like the closeness I felt with him on that trip. The whole trip from start to finish was perfect. We were very busy yet at the same time it felt like it was the most relaxed time emotionally I ever remember having in my life. It was like God had taken the worst parts of me and my life away for that week. Another cool thing is that just as the trip had begun with the dawning of a new day and a beautiful sunrise, my trips last leg was finished with my plane taking off from Houston on the journey home with the sun just setting and it was beautiful too. I felt as if I had somehow come full circle and I also knew without a doubt that another chapter of my life was now closing because a new one had just begun. I knew from that moment on in order for me to do what I am supposed to do for God I had to fully get rid of myself and trust Him. I also now knew that all the things that had seemed to be reasons for me not to go on the trip were actually all the more reason for me to Go. Since the trip things have not always been easy but I do now know what God wants from me. I also knew I had to give up a few things that I felt like were getting in the way of what He wants me to do. Giving them up wasn’t easy but oddly once I made my decision and did what I know he wanted me to do I felt relieved and also that peaceful feeling once again. .As I started writing this blog post I had not looked up the definition of trust, though I knew what trust meant I hadn’t really ever thought of it that way. also as I started this post I had no idea what my word of 2016 would be. I had planned to stop this post with the definition of trust and tell you that I still had no idea what my word for 2016 was yet. But as I read the definition from the perspective of setting up a ‘Trust’ I realized that another lesson I learned in El Salvador was from pastor Carlos when he talked about lending to the Lord (see blog post Casa de Pan Lending to the Lord) somehow seems to go with this definition. Suddenly it has occurred to me that though I place my confidence in God, he also has confidence in me and he has placed me where I am because that is where HE wants me to be. Could it be possible he has made me a nominal owner of HIS property, and now it is my job to use his property for the benefit of others? As this revelation was flooding over me suddenly I looked up and saw a group of pictures hanging on the wall in my bedroom with the words Dream, Imagine, Love, Hope, Faith and Believe on them. The top word on the pictures is the word Believe. Now I can see that without believing He chose me I can never fully trust myself to do what he wants me to do. I know God wants me to not only trust him but also to totally believe in his ability to make proper decisions and trust that he can and will make things go exactly as he has planned. I plan to spend this year focusing on believing that God has my life in his hands and no matter what things may look like from the outside to me or anyone else, God knows the truth, he knows the plan and He is the only one I have to believe in. I said in the beginning of this post that this has probably been one of my hardest years of my Christian journey. I also know, even though it has been a hard year, it has also been my best year on this journey so far. I am pretty sure it was a good year. Do you have a word you feel as if God has given you to focus on this year? If so add your word to the comments or share your blog post in the link up below I would love to read it. Thanks for reading my very long blog post and I wish you a blessed and wonderful new year! P.S. Don’t forget to share your ‘One Word’ below.